We offer DVD of Japanese kendo, the film of great Japanese masters and historical competitions. Kendo There are 8 products. 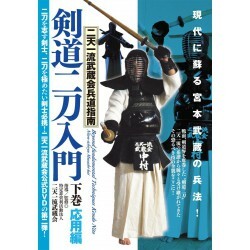 DVD "Kendo Nito Nyumon" Vol.1 Basic-Niten ichi ryu Musashikai Hyodo Shinan- Language: Japanese Duration: 80 mn This DVD allows you to learn the basic techniques of Nitoryu Kendo. Showa tenran jiai Language:　Japanese Set 3DVDs : 94mn Tournament held during the Showa era in the presence of the Emperor. 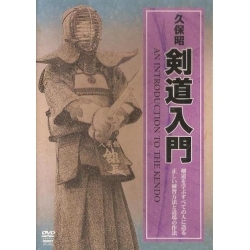 This DVD is a very valuable video where you can watch the figures and mind of genuine kendo-ka who devoted their lives to the Japanese sword. 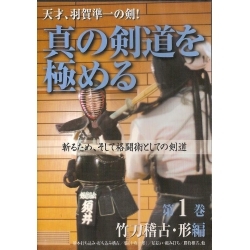 Kendo nyumon / Introduction to Kendo - KUBO Akira This DVD introduces Kendo Basics. The basic techniques (Kihon), manners (Reigi), usage of gear (Bogu), traditional Japanese mind, etc. Oni no kenshi ichidaiki / Biography of Nakakura Kiyoshi Language : Japanese 55mn Documentary of the life of Kiyoshi Nakakura. Meishobu to meikenshi Language : Japanese 3 DVDs set : 120mn Tournament held on the occasion of the Japanese Kendo Federation 30th anniversary . 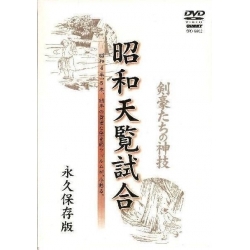 DVD "Kendo Nito Nyumon" Vol.2 Techniques -Niten ichi ryu Musashikai Hyodo Shinan- This DVD is for A Kenshi who wishes to learn and master Nito ryu. Instructor : Nitenichiryu Musashikai　Language : Japanese Time : about 69 min.